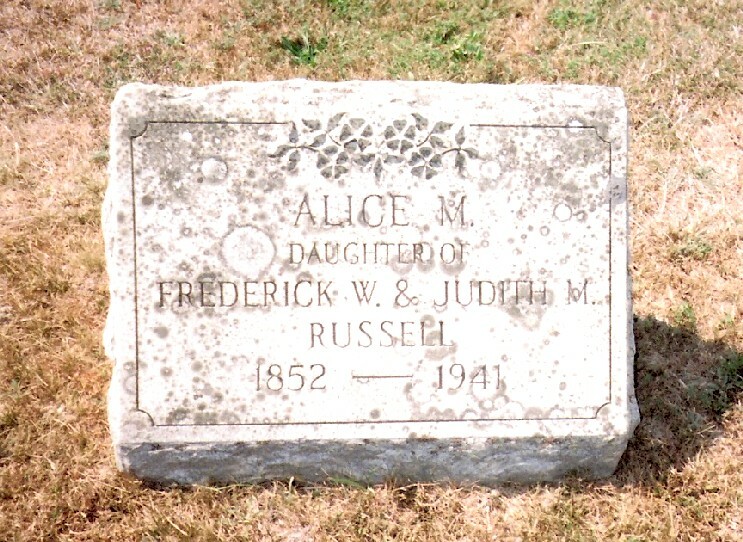 What is that stuff on tombstones? 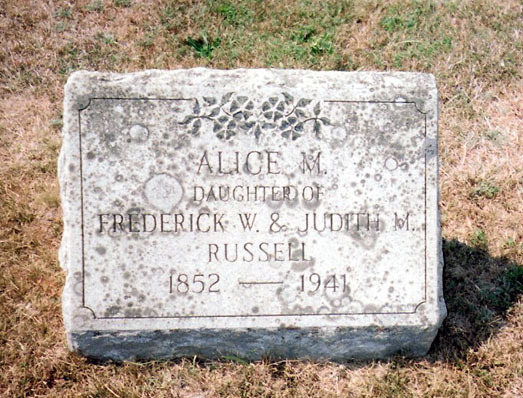 A recent visit to Beech Grove Cemetery inWestport revealed that the creeping gray-green substance on the markers of Alice Russell and her parents is still thriving. What is it? That stuff is lichen, a combination of an algae and a fungus. Lichen is actually a living organism and if left unattended, will eventually eat away the stone to the point where it will start cracking and breaking off and the stone will eventually no longer be readable. The cure is simple : plain warm water and several soft old nylon toothbrushes, or soft bristle brushes. No detergent is needed-just a little elbow grease. 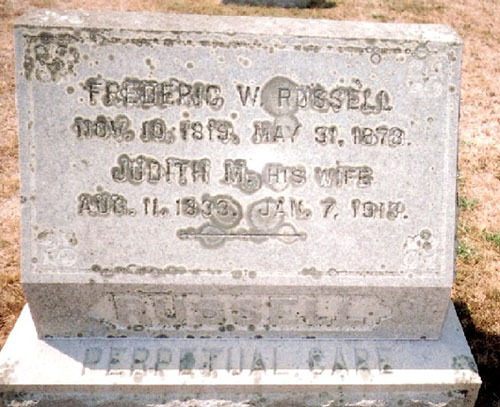 The Russell stones will be cleaned in November by the Fall River chapter of The Second Street Irregulars, The Noble Order of Mutton Eaters. 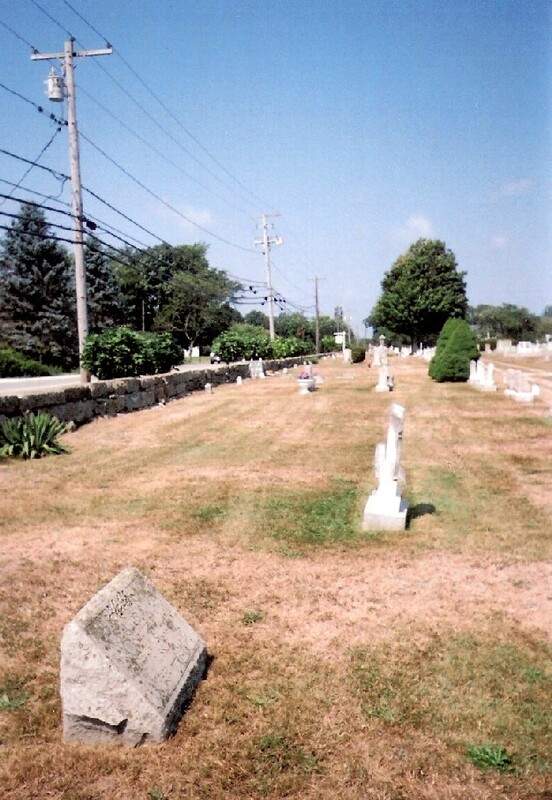 Taphophiles and “stone rubbers”, or people who love memorials, cemeteries, memorial parks, stone monuments, etc. actually do a great service for future generations by patiently cleaning and preserving these affected stones. 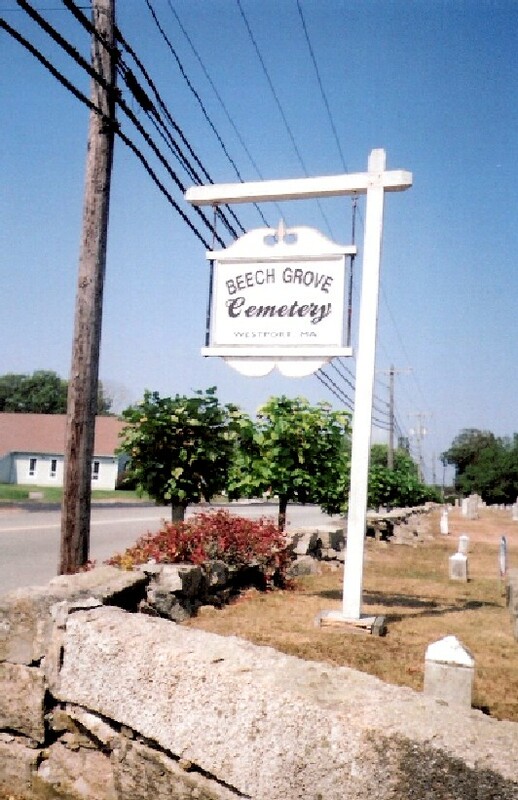 Plans for a Friends of Oak Grove Society are in the works!